“So. . . . what do I choose for a beginner?” This has been the question and mystery of a lifetime for people who are just entering the world of guitars. If we had a dollar for each time people asked us that, we’d be strumming our guitars on private yacht. No joke. Whatever it is, we are here to put an end on it once and for all. Hello and welcome! Today we will be addressing the age-old conundrum of every beginner, Acoustic vs Classical Guitar! Stay with us and read along as we cover and walk you through each and everything you need know to get started. What’s right for you? What’s tough? What’s easy? Learn it all right here with us. Get ready to get surprised too! Let’s start. Before we get to main deal, it is extremely important that you know what you are dealing with. Understanding the similarities and differences is the first step to making a better decision. Take a look at the most basic features of each of our contenders today! Acoustic guitar is hands down one of the most popular and widely used guitar there is. It is a very basic and simple guitar with even more basic and simple mechanism and operation. Which is one of the many reasons why it always up in the cards for beginners! Acoustic guitars are usually, (USUALLY!) less expensive than your electric or classical or bass guitars, but don’t underestimate this instrument just yet. 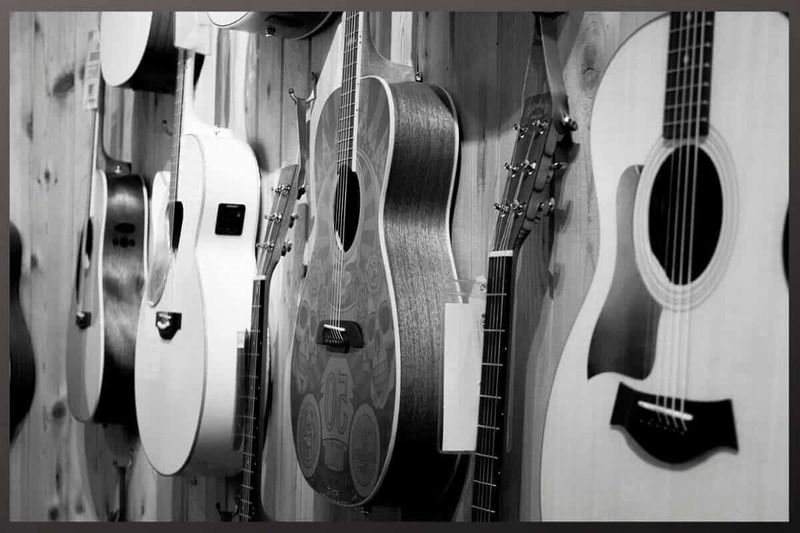 Acoustic guitars are very versatile and extremely coveted by even the most expert players! It can be used to play a wide variety of genres, but is specifically great for pop and contemporary. Classical guitars are very similar to acoustic guitars, both in terms of build and performance. Which is why, many people often confuse the two to be the same thing. Which they are not! A classical guitar, as the name suggests already, is more ideal and drawn towards playing music and rhythms that are more classical and calculated. This is where it all goes downhill for beginners. The problem with acoustic and classical guitars is that they look and sound very close to each other. And it gets even more difficult to separate the two when you don’t even know what to look for! 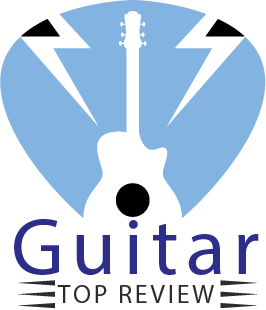 So, we are going to down the similarities and difference between the 2 guitars so that you can instantly differ between them from a single inspection and strumming! The look. Yeah, that’s pretty much it. The look. An acoustic and classical guitar looks almost identical to one another. They have the same build, same weight and feel and annoyingly similar construction. Alright! Now, for the more important part which are differences. We know we keep saying how similar an acoustic and a classical guitar are, but mind you, they are similar; not identical. If you know what to look for and where to look at, then separating the 2 guitars can be very easy. The first difference is in the fretboard of these 2 guitars. In an acoustic guitar, the fretboard is narrow and almost tapered at the end. Whereas in a classical guitar, the fretboard is wide and of the same width all throughout. What is using an acoustic guitar like for a beginner? An acoustic guitar is what most of us would call a basic guitar. It is basic, simple and usually considered the “starting step” for beginners. However, there are a few things that you must know before you blindly go for an acoustic. 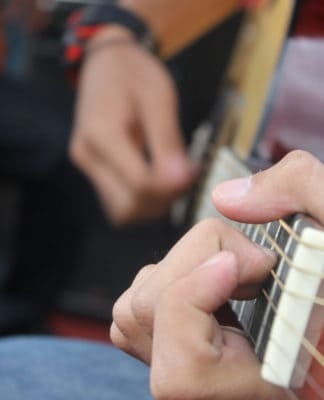 An acoustic guitar uses steel strings which is, texture and touch-wise, one of the hardest. This will have your new learner and beginner fingers sore and uncomfortable for the first few days of learning. Having said that, mind you that this lasts only up to a day or two. And after that, it’s fun and games all the way. Learning to read and break down chord diagrams is also comparatively easier. What is an acoustic guitar good for? An acoustic guitar is appreciable for a wide variety of genres. It can go subtle and loud and headbanging depending on your skill and talent. However, it is safe to say that the sound outcome of an acoustic guitar is more vivid and bright than classical guitar considering the building and string profile of acoustic which makes it ideal for pop. What is using a classical guitar like for a beginner? Classical guitars are also a very popular option for beginners. And one of the reasons being are its strings. The nylon strings in a classical guitar makes it one of the most comfortable and softest to use out of all guitars. It won’t mess with your fingers, won’t cause soreness; nothing at all. It is very comfortable and easy to use. Having said that, many learners struggle with the process of learning to read notations which comes with a classical guitar. But once you are past that, it is smooth and butter! What is a classical guitar good for? A classical guitar, thanks to its construction and string material, has a sound profile that is more subtle and mellow than an acoustic. It isn’t as bold and is very conservative in terms of sound profile. This makes the classical guitar ideal for music that is, well, classical and isn’t very contemporary or modern. Think old-school guitar! So! Which one is easier to learn? Remember that “surprise” we were talking about earlier in the beginning of Acoustic vs Classical Guitar battle? Well, here it is: no guitar is easier, or more difficult, than the other. BOOM! Yep. That’s right, folks. There isn’t a winner out of the 2 guitars. No one wins and no one loses. Why, you ask? It is something as simple as you. Yes, you. It really doesn’t matter which guitar you choose, whether it’s an acoustic or a classical. It is the way you play that makes the process easy or tough. Each of the guitars come with their own set of pros and cons, and it depends on how you handle each. They are both perfect beginner guitars …… if you are ready and willing to give it your all! Your willpower, consistency, practice and enthusiasm are the things that will decide how easy or tough playing each guitar will be! You can play either acoustic or classical guitars like a pro if you put enough effort into it. No guitar is superior to the other for beginners. The one you choose should vary and depend on your personal preferences and comfort zone. They are both great for learners. Don’t drool over brands. Buy quality, not name. A good acoustic guitar for beginners will cost you somewhere from $300 to $500, but be aware, prices will vary (and skyrocket!) depending on the factors mentioned in our buying guide above. As for classical guitars, you can find models as cheap as 50 bucks. But for more standard quality guitars, keep a budget of at least up to $600 to $700. That’s all about Acoustic vs Classical Guitar dilemma. Now it’s your turn to do some action.